In addition to making a secure donation to SCF&R right now through PayPal, you can volunteer as a Wildland or Structural Fire Fighter, or in many other capacities. We rely on people like you for our operating budget. Thank you in advance for supporting the SCF&R mission. Silver City Fire & Rescue, Inc. is a 501(c)(3) non-profit corporation and your donation is tax deductible as allowable by law. Love the idea of helping your community? We’d love to put you to work. You can volunteer to learn about and provide emergency medical services and fire protection. You can also help us write and produce newsletters, plan special events, and more. Call (208) 466-5064 or email info@silvercityfireandrescue.org to discuss ways you would like to help. 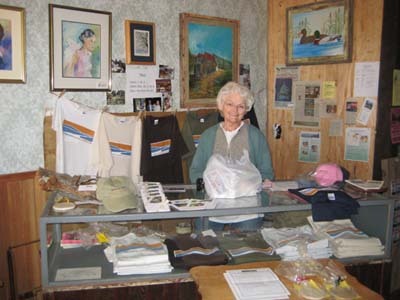 Buy one of our SCF&R t-shirts, caps or greeting cards from our online store, or visit our shop in downtown Silver City to take home an unique, handmade work of Silver City pottery or art. All purchases help with operational expenses for this non-profit, all-volunteer organization. If you have any questions regarding your SCF&R membership status – or if you would like additional information regarding the benefits of becoming a contributor to SCF&R – please contact us via email at info@silvercityfireandrescue.org or call (208) 466-5064. Many thanks to the many individuals, businesses and agencies who have donated time, expertise, money and equipment to provide Silver City/War Eagle area people with critical emergency support and fire protection. Silver City Fire & Rescue is powered by	WordPress 4.2.23 and delivered to you in 0.115 seconds using 15 queries.